To BE or To Be Looked At? You are capable of much more than looking hot. Have you thought about this statement? Do you understand the gravity of it? This phrase gave me goosebumps when I let it sink in. Women are always being looked at. And when we aren’t being looked at, we are too often envisioning ourselves being looked at, as if an outsider’s perspective has become our own. In fact, our PhD work makes one thing very clear: Part of growing up female today means learning to view oneself from another’s gaze. Ever heard this quote? Men act and women appear. Men look at women. Women watch themselves being looked at. This determines not only most relations between men and women but also the relation of women to themselves. The surveyor of woman in herself is male: the surveyed female. Thus she turns herself into an object—and most particularly an object of vision: a sight. 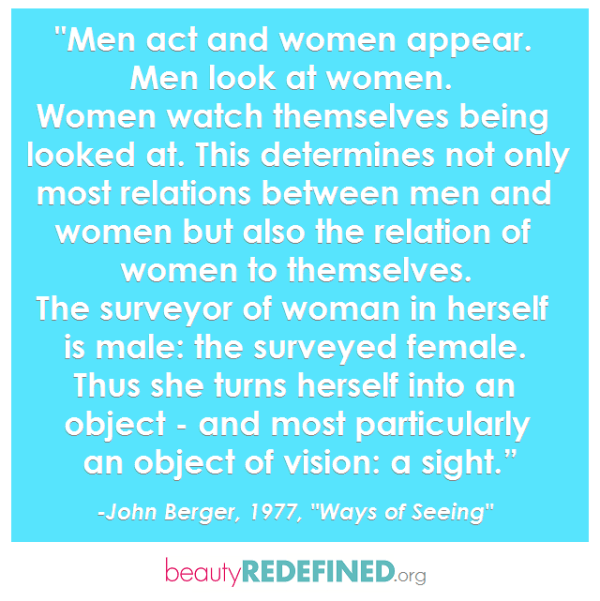 (John Berger, “Ways of Seeing,” 1977). This insightful man was referring to the idea of “objectification,” which we’ve all heard once or twice. 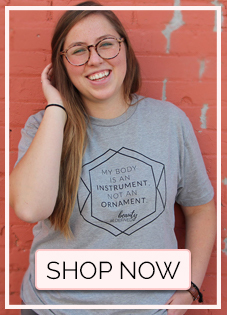 But when we think of the term, we probably think of sexualized female bodies, or sexualized parts of female bodies, which isn’t the whole idea here. When we understand the whole of objectification, we can better grasp the role it plays in our daily lives and the ways it may keep us from fulfilling all we want to do with our days. 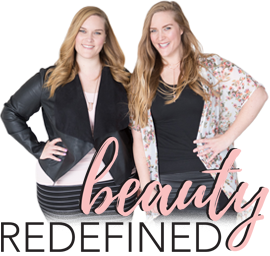 When we travel around giving our one-hour Beauty Redefined visual presentation, we explain to our audiences that objectification takes on many roles, including self-objectification. Say you’re walking down the sidewalk on a beautiful day. Someone who has internalized an outsider’s perspective of herself and is self-objectifying will often spend more time adjusting her clothing or hair, wondering what other people are thinking of her, judging the shape of her shadow or reflection in a window, etc. She will picture herself walking – she literally turns herself into an object of vision – instead of enjoying the sunny weather, looking around, or thinking about anything else. If you find yourself thinking and acting like this, you aren’t alone. In fact, you are just one of millions of females growing up in a world that teaches us to survey ourselves every waking moment. Profit-driven media tells us how we can “Look Hotter From Behind!” in fitness magazines, “Look Wow Now!” on makeover shows every hour of every day, “Look 10 Years Younger!” using every anti-aging procedure and product under the sun. Notice the emphasis on looking … Do you find you survey yourself as you move through life? That you ever turn yourself into an object of vision: a sight? I see objectification playing out in my own life in many ways. When I’m walking past people, I often catch myself imagining what I look like to them – from the front and from behind – and think irrational thoughts about what the people walking behind me or past me think about me. I often adjust my clothing to what I assume is the most flattering position as I walk. I can admit I’ve been known to look at my own Facebook profile to see what I look like to the cute guy who just added me or the friend I just added. I look through my photos and try to gauge my looks from the perspective of someone who is not me. If that isn’t self objectification, I don’t know what is! Unfortunately, I know I’m not alone in doing this. 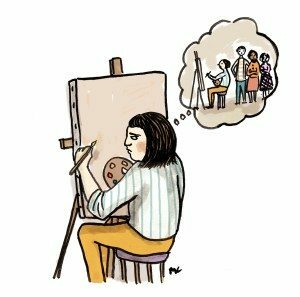 I am a body image activist and I have a Ph.D. in research on self-objectification, yet I still catch myself envisioning myself from an outsider’s perspective instead of moving on to so many things more meaningful and productive. This just goes to show it’s a constant battle. I am constantly working to remind myself I’m capable of much more than looking hot. My self-objectification is complicated by the fact that I am an identical twin, so in some ways I see a body of a person with identical DNA in real life in a way that most people cannot experience. Unless you have an identical counterpart, your vision of yourself comes from photos, videos, and your two-dimensional reflection. So let’s talk about mirrors, shall we? Even as I sit in my bedroom typing at 2 a.m., I see a full-length mirror peeking through the closet door, one with hooks hanging all my jewelry, and a centerpiece mirror above my bed. 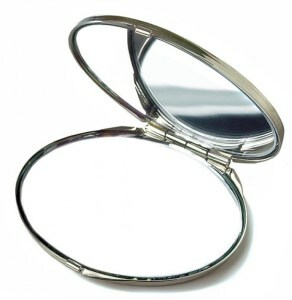 While I don’t think I’m vain or image-obsessed, I spend about 30-40 minutes in front of the mirror every morning, keep a compact in my purse, and apparently have about 100 in my room for safe keeping. I am surveying an image of myself for at least one of the 24 hours in my day, and imagining that image of myself as I move throughout my day. What role do mirrors play in your life? “Women are constantly being looked at. Even when we’re not, we’re so hyper-aware of the possibility of being looked at that it can rule even our most private lives. Including in front of our mirrors, alone,” says Autumn Whitfield-Madrano at her always inspirational website, The Beheld. Autumn’s insights echo Berger’s powerful words. Too often, we travel through life with an outsider’s vision of ourselves. We are to be looked at. We watch ourselves being looked at. We become objects of vision: sights. But isn’t there so much more to life than watching ourselves self-consciously stroll through it? Life is beautiful when you live it – really experience it – not when you are concerned about appearing beautiful as you try to live. When you think of your happiest times, were they only when you looked picture perfect? Were you happiest when you were working to appear happy or attractive or beautiful to others? Happiness and beauty come from doing, acting, being – outside the confines of being looked at. So, today, what will you do to shake off the outsider’s gaze you envision of yourself? Will you do as Autumn has done and experiment with what your life becomes when you spend less time with your reflection and more time doing, acting and being? Will you enjoy the world around you instead of hoping others are enjoying their view of you? Will you do something your self-policing outsider’s gaze kept you from doing before – like speak in front of a group of people? Run without worrying about the jiggle or the sweat? Go to the store even if you aren’t all made-up? Today is the day to remember you are capable of much more than being looked at. And when you begin to realize that, you can start realizing the power of your abilities and the good you can do in a world so desperately in need of you. NOT a vision of you, but ALL of you. What will you find you are capable of?